The first known fatal accident involving a vehicle operating in a type of autopilot mode occurred in Williston, Florida on May 7, 2016. The accident involved a Tesla Model S electric car that was engaged in Autopilot mode. The driver was killed when the Tesla crashed into a large 18-wheel tractor-trailer. The National Highway Traffic Safety Administration (NHTSA) has opened a formal investigation into the accident. According to the NHTSA, preliminary reports indicate the crash occurred when the tractor-trailer made a left turn in front of the Tesla at an intersection on a non-controlled access highway, and the car failed to apply the brakes. The car continued to travel after passing under the truck’s trailer. According to Tesla Motors, “neither autopilot nor the driver noticed the white side of the tractor-trailer against a brightly lit sky, so the brake was not applied.” The car drove full speed under the trailer, “with the bottom of the trailer impacting the windshield of the Model S.” The truck’s driver told the Associated Press the Tesla driver was “playing Harry Potter on the TV screen” at the time of the crash and driving so quickly that “he went so fast through my trailer I didn’t see him.” Tesla stated that it is not possible to watch videos on the Model S touch screen. An incident of this nature is surely to place a microscope over the benefits and risks associated with autonomous driving, including whether as a society we are ready for this technology at its associated risk level. An autonomous car is defined as a vehicle capable of sensing its environment (using radar, lidar, GPS, odometry, and computer vision), and navigating without human input. Proponents of autonomous cars have argued that an assortment of anticipated benefits will come with autonomous cars, including reduction in traffic collisions caused by human driver errors such as delayed reaction time, tailgating, and other forms of aggressive driving that increases the risk of an accident. Indeed Tesla has argued that this was Tesla’s first known autopilot death in over 130 million miles driven by its customers with autopilot engaged, as compared to a fatality every 94 million miles among all types of vehicles in the U.S. And prior to this incident, Google had driven their fleet of driverless cars in autonomous mode a total of 1.4 million miles with a positive track record. Of the 14 collisions to date, 13 were the fault of other drivers, either rear ending the Google car at a stop light, side swiping the Google car, or one instance where the Google employee was manually driving the car. The sole blemish on Google’s self-driving car record was when it attempted to avoid sandbags blocking its path during which it struck a bus. 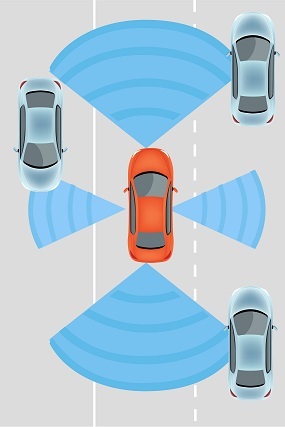 This of course raises a concern of how do autonomous systems factor in ethical decisions such as the dangers associated with maneuvering to avoid an accident, should such maneuvering cause danger to other drivers, pedestrians, or the occupants of the autonomous vehicle. Regardless of where one stands on the issue, we are certainly moving quickly in the direction of autonomous vehicles. As of 2016, 8 states have passed legislation that allows public road testing of driverless cars (CA, NV, UT, ND, IL, TN, FL, and DC). California earlier this year (Assembly Bill 2866) introduced legislation that would completely allow driverless vehicles to operate on the road, including those without a driver, steering wheel, or pedals. While the bill has yet to pass the assembly, it is an example of the direction we are moving on the issue. Manufacturers appear ready to fill any demand as legislation continues to be introduced. Currently 25,000 Model S Tesla’s have this autopilot feature. Google’s development of their own autonomous vehicle has been well document, including their own website on the topic: http://www.google.com/selfdrivingcar/. There are also a host of players working to deploy their own version of this technology. Ford, GM, Honda, and Toyota are all working internally or with outside entities devoted to this technology to continue development. Mercedes has developed a semi-truck with autonomous capabilities. Even Apple has been reported to be creating an Electric car dubbed “Titan” with target ship dates of 2019. As this technology continues to develop, certainly the discussion of whether and to what extent as a society we are ready for autonomous vehicles is warranted. In the upcoming years as more companies test drive their own version of the autonomous vehicle we can expect more data to be circulated as to the benefits and risks associated with going driverless. But one thing seems certain from the significant development being put into this industry – it is not a matter of if driverless cars become an everyday reality in our society, but when. David Brisco is a Member of Cozen O'Connor's Subrogation & Recovery practice group in the Litigation Department. He joined the San Diego office in 2005, and has been a Member since 2012. He is responsible for managing a subrogation litigation caseload in various legal areas, including product liability, negligence, construction defect, and breach of warranties.